Microsoft understandably wants to show off the new tricks its XBox One is capable of, including voice control. 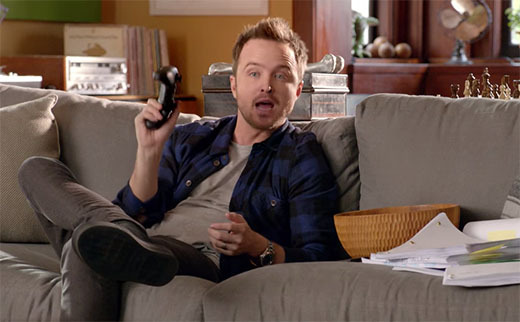 But a smooth demo for potential buyers becomes a real annoyance for existing owners, as this ad with Aaron Paul saying "XBox On" is causing real-life units to power up unintentionally. The design of controls becomes tricky as the triggers become smarter - anticipating intent that can be subjective, varied, unreliable can easily result in false fires, unresponsive triggers, or (remarkably) both. In other words, it's no longer as clear-cut as pressing a button!